Dressed in traditional sombreros and “charro” outfits, our repertoire spans from the Mariachis of Jalisco to the Nortenas of Chihuahua, to the harp music of Vera Cruz, down to the Marimba music of Chiapas. All this played on authentic instruments such as guitar, vihuela, guitarron, violin, trumpet and with beautiful singing throughout. Song translations, storytelling and cultural insights are interwoven between musical numbers. Fiesta del Norte is a Mexican Mariachi band performing the traditional folk and popular music of Mexico. 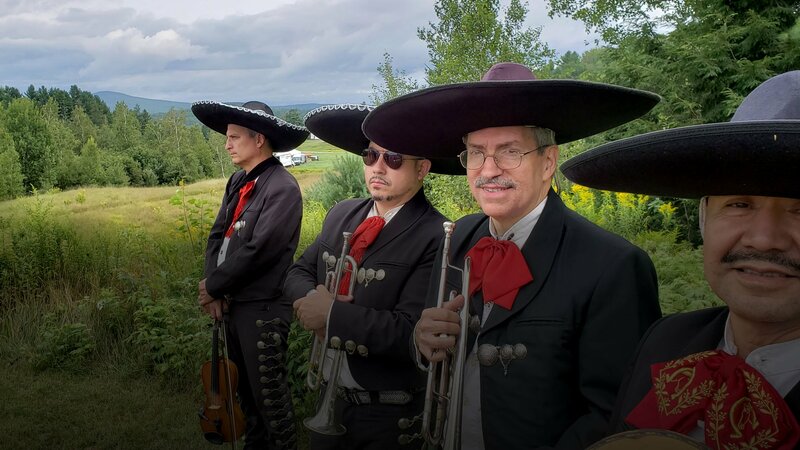 A member of the CT Commission of Culture and Tourism since 1986, this Hartford based group has serenaded New England audiences at major festivals, First Nights, colleges, schools (K – 8), libraries, town greens, senior centers and many other venues. A hallmark of a Fiesta del Norte concert is the wonderful audience participation with singing, dancing, hand-clapping, maraca-shaking, and the joyful calls or ‘gritos’ heard on every song. Our concerts are often bilingual and designed for all cultures and age groups. So put on your sombreros and celebrate Mexico with Fiesta del Norte!